British energy supplier Npower to cut jobs, outsource to India. Energy provider Npower, a subsidiary of German giant RWE, has announced plans to cut about 1,460 jobs in Britain and outsource customer service operations to India. The company said it will outsource back-office and customer service jobs to Capita and India’s Tata Consultancy Services (TCS). Capita is the preferred bidder to provide front office customer management and back office services from February 2014, for a contract worth around 120 million pounds ($195 million) over seven years. About 540 existing staff will be transferred to the company. TCS will oversee around 1,000 back-office jobs being relocated to India. RWE has already said it will cut 6,750 jobs across Europe from 2014 to 2016 to fight a deep crisis in Europe’s energy industry. Npower ranks among the “Big Six” British energy suppliers, all of which have raised household electricity and gas charges. The company announced an average rate increase of 10.4 per cent in October. The biggest impact of the redundancies will be felt in Npower’s offices in Stoke-on-Trent, central England, the closure of which will affect around 550 employees. RWE Npower currently employs around 11,000 people across the UK, with 9,500 in the retail business. 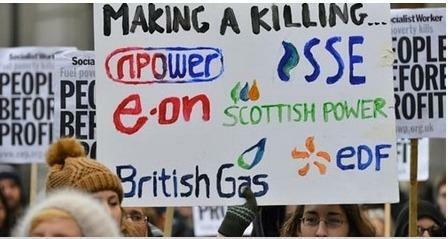 Share the post "British energy supplier Npower to cut jobs, outsource to India"